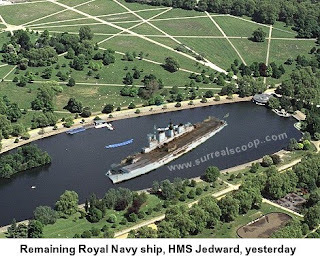 Following the Strategic Defence and Security Review that identified cyber-terrorism as one of the key threats facing the country in the twenty-first century it has been announced that the remaining Royal Navy ship will be moved to patrol the key waterway of the boating lake in Hyde Park. Billingsworth would not comment if the new austerity measures would extend to diplomatic trips abroad and include room sharing with the Foreign Secretary. 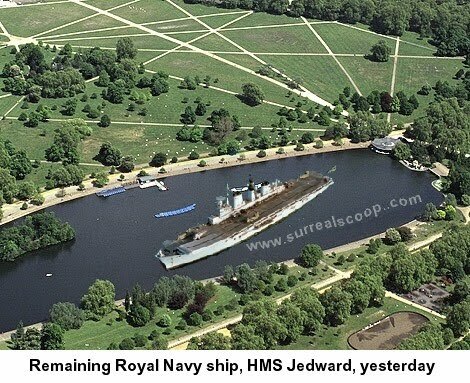 The Royal Navy has emphasised that as part of the move, full operational effectiveness of the central London carrier will be achieved by re-equipping with a combination of air-sea helicopters and attack pedalos. To further support the reduced Navy’s effectiveness, the designs for the new replacement carriers will be amended to provide capability for landing planes from foreign air forces. Whilst the changes to carrier design and deployment were seen as a drastic change to the operational readiness of the Royal Navy, plans are in place to increase its capacity when new funding becomes available.